A simple dish with beetroot, coconut and mild spices made in a snap. 1.Peel the beetroot and cut it into small cubes. 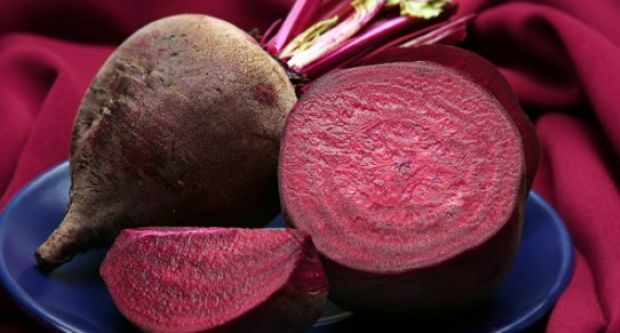 2.Pressure cook the chopped beetroot with a pinch of salt for 3 whistles. 3.Grind coconut, chana dal, green chillies to a smooth paste. 4.Heat 1 tablespoon oil in a pan and fry cloves, cardamom and cinnamon. 6.Add tomatoes, ginger-garlic paste, salt, red chilly powder, garam masala powder and stir while letting it cook for 2 to 3 minutes. 7.Add the cooked beetroot and coconut paste. 8.Mix well and let it boil for 3-4 minutes. 9.Garnish with coriander leaves and serve hot with chapati.